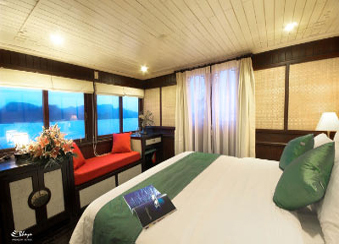 See Halong Bay in style and privacy aboard Bhaya Classic - a new cruise vessel featuring twenty luxurious cabins furnished in classic Eastern style. 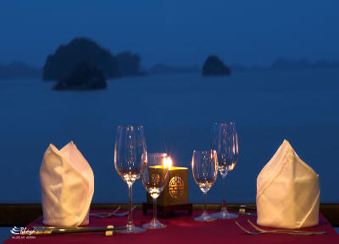 A truly memorable experience awaits you on a cruise through delightful Halong Bay. Revel in the tranquility as you escape the hustle and bustle. Start your day with calming Tai Chi. 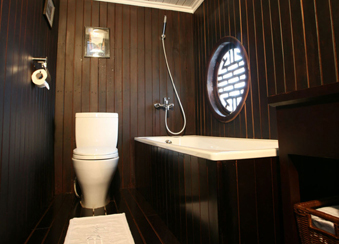 Enjoy a divine culinary experience, take in the beauty of the Bay by night then retire to your plush cabin. 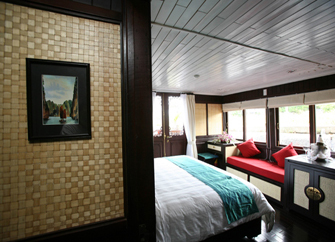 All on Bhaya Classic’s exceptional Halong Bay cruises. 09.00 Return to Bhaya Classic. Buffet brunch is served onboard. The vessel cruises leisurely back to harbor. 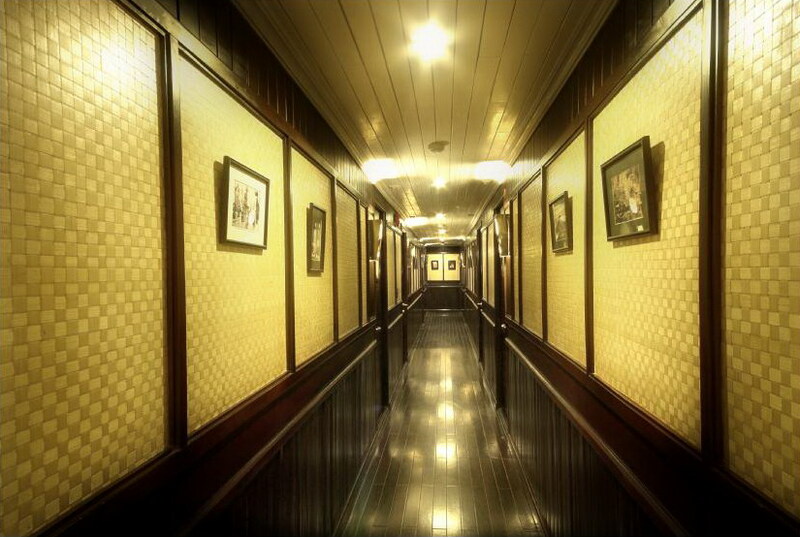 11.00 Disembark at Bhaya Café, Halong City. Transfer you back to Hanoi City. End of services. Tour Prices : Please do not heritage to email for us to get the best rate !